Learn the basics of longarm quilting with expert Angela Walters. 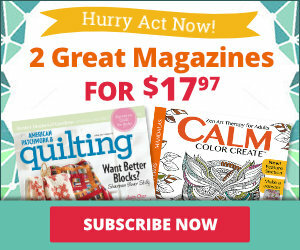 "Hi, I'm Jennifer, here at the American Patchwork and Quilting sewing studio. And I'm with Angela Walters, Handi Quilter's ambassador of machine quilting. Angela, sometimes when you see a long arm for the first time it can be rather intimidating. It looks like there are a lot of parts and pieces. And for many quilters it looks quite different from the standard machine they're used to doing their piece work on. But we're here to take the mystery out of that today. A lot of the parts will look very familiar, and we'll talk about what comes with a long arm machine. And then we'll move over to a sit down machine and examine that as well, so let's get started." "Great. It's great that we bring that up because I remember when I first got my long arm delivered that I was kind of overwhelmed by the size of it. But once I realized how to work it and mess with it, it's really not as intimidating as most people think it is. The one thing is the frame, because the frame is so long and I'm talking about the table that the machine is on, as well as the rollers that the quilt top and the back and the batting actually pin to. And that's what this is right here. This frame can be anywhere from 10-14 feet long, so it looks impressive and it is large, but it's just a frame." "And probably most familiar to quilters would be a hand quilting frame and a long arm machine frame is very similar to that. You have the places where you pin your fabric to the leaders. And you have the rollers so that you roll it up and you layer it much like you would on standard sit down machine. But you have the pin any of the layers other than pinning them to the leaders itself." "There's no basting beforehand, which is a huge benefit to using a long arm, for sure. And then when it comes to the machine, it's best to think of it as a large sewing machine -- many of the components are the same. For instance the thread path. You know you have your tensions dial here just like you would on a regular sewing machine. 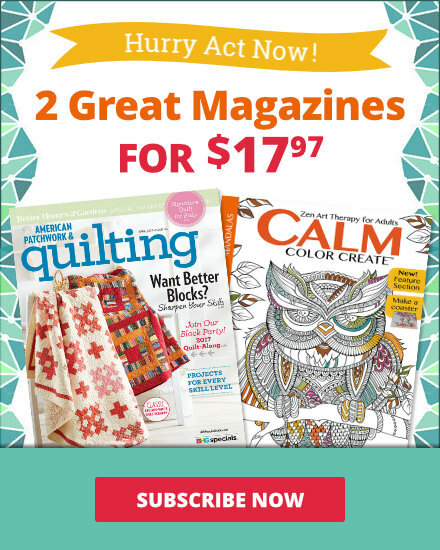 Down at the bottom you can see we actually have a hopping foot which is similar to a sewing machine foot, so there is a lot of those consistencies that help make it a little bit more familiar to quilters." "And I think the best explanation I've heard for a long arm machine where you're standing at the frame is if you think of a home sewing machine as where you're moving the paper underneath the pencil to free motion quilt, with a long arm machine, you're moving the pencil on the paper. You're just doing it by using these handles. And that gas pedal as opposed to a foot pedal on the floor is generally in the handles. You also have some bells and whistles like you can get on a variety of sewing machines where you have a needle up and down." "And what makes it move so easily is there's actually two sets of wheels. There's a set of wheels that go horizontally, and a set that goes vertically. And it's the combination of those that allow you to move so free. So it is it is a nicer experience because you have so much looser, free quilting in your arms, so that is one difference between, you know, sitting at a sit down sewing machine." "Right and if you like doing big quilts it's great because you can move that machine head very freely compared to trying to labor with the king size quilt under a small home sewing machine." "But when it comes down to it, it's just a needle and a motor. There's really not much you can do, and I think that people are hesitant to even try one out at a quilt show or a quilt shop. I encourage you to hop on there and try it out. I think you'll find that it's really fun." "Exactly it is fun. Now there are also a set of handles on the opposite side and the machine. Tell us about those." "Well I prefer to quilt from the front and I do free motion quilting, which means I'm guiding the machine. However some quilters like to do what are called pantograph patterns. 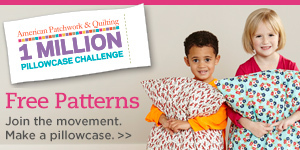 They're quilting design patterns that lay on the table of the machine. You actually quilt from the back, using a light to trace along those designs. So there is so much versatility. If you're not comfortable with making it up as you go, you can definitely quilt from the back of the machine." 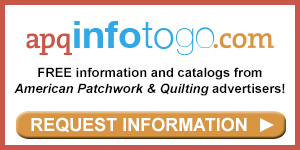 "And there are also lots of advancements being made in the long arm quilting as far as the electronics that go with the machine. And different things -- a stitch regulator or different electronic or computerized patterns as well. And what I like about it is that you really maintain a lot of the control. You have an opportunity to turn things on and off as you want to use them for different designs and patterns." "Well, it's very customizable definitely. You can change up the speed. You can change the needle position. You could actually change the height of your table frame -- whatever it is more comfortable for you and that's what makes it so great for quilting." Well let's move over to the sit down model and take a look at those parts and pieces. So now we've moved from the long arm quilting machine to the sit down model. Some people also call it a mid-arm machine. The first thing you'll notice is that you're at a seated position but rather than being on the side of the machine where you might be used to doing your piecing on a regular machine, here you're working from the end of the machinery. You're sitting really in front of the needle end." "Yes, this machine is great for quilters that can't stand for long periods of time, that are more comfortable moving the quilt instead of the machine, or just plain don't have the space for a long term quilting frame." "Absolutely, and you'll notice the table has a big flat surface where you can move your quilt around. And on the long arm we talked about moving the pencil over the paper because the needle moves. At this sit down version you're actually moving the paper underneath the pencil or underneath the needle. And that's your quilt moving around. You might be more familiar with this movement if you've done your machine quilting on a domestic sewing machine before. You'll also notice that the table is custom made to fit the machine, so there's an opening here cut out for the needle plate. And then it fits snug up against the throat or the back of the machine over here. Now you do have a little bit less distance that a long arm, on the sit down version between the needle and the back of the machine, but you still have more room than you would have on a domestic machine." "Absolutely. I think if you just think of it as a big sewing machine with a table attached maybe it wouldn't be so intimidating to quilters." "That's for sure. So whether you want to try the long arm version where you're standing up and quilting or the sit down version like this, just remember, don't be intimidated -- it's just another version of a sewing machine. So go out and give one a try"